1929. P. and O. Turbo-Electric Liner Viceroy of India. 1932. Converted Marine Steam Engine. 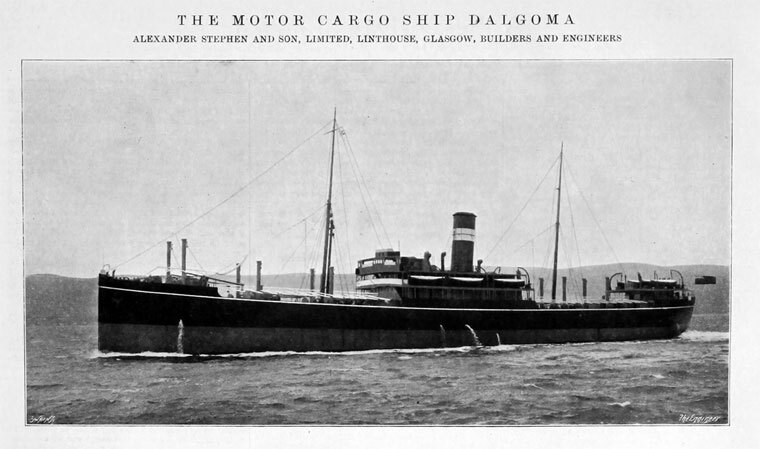 Alexander Stephen and Sons Limited, often referred to simply as Alex Stephens or just Stephens, was a British shipbuilding company based in Linthouse, Govan in Scotland, on the River Clyde. 1750 The company has a long and distinguished history, beginning its shipbuilding activity in 1750 in Aberdeen. By 1813 William Stephen was established as a shipbuilder at Footdee, Aberdeen. 1814 His eldest son, William, after release by the French leased a yard for himself at Arbroath. c.1820 William's second son, Alexander, joined his father in the Aberdeen yard, keeping a diary from 1824 for 30 years. 1825 Arbroath got into difficulties; William, senior, signed a bond making himself responsible for the debts of William, junior. 1826 The brig Unicorn, commanded by William's youngest son, James, was lost with all hands off the Irish coast. Other sons had business troubles, one died. 1828 William senior was declared bankrupt due to debts of the Abroath yard. The Aberdeen business was taken over by Alexander; the name of the firm reverted to Alexander Stephen and Sons. Alexander paid off the debts over a period of seven years. 1829 Alexander Stephen took over his brother William's yard at Arbroath. 1830 The company gave up the lease on the Aberdeen yard. Took over another yard in Abroath which was improved with steam-engines to drive the saws, and a new joiners' shop. 1840 Alexander moved his family into a large new house at Lady Loan, overlooking the yard but trade declined. 1842 Took over the lease of a Dundee yard, moving the business there in 1843. 1843 When they left Arbroath, the yard had 48 employees. 1849 Built one of the first covered berths in Scotland. Invited Mr. Smith of Smith's Dock who was the only other owner of a covered berth in the kingdom, to inspect the installation at Dundee. 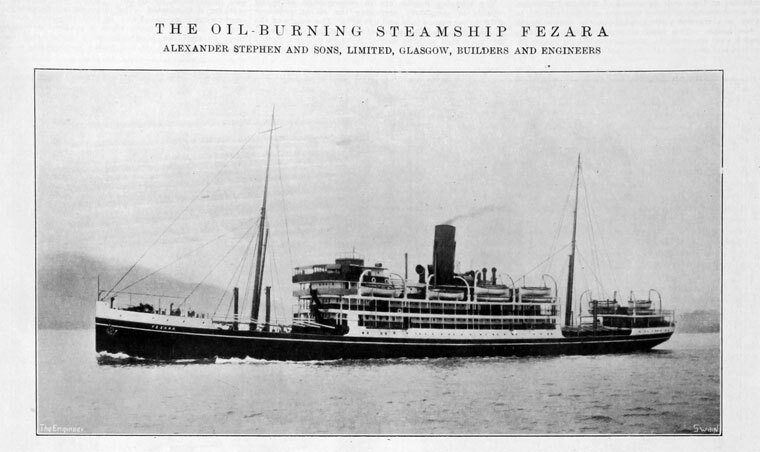 1850 Alexander Stephen decided to establish a new yard on the Clyde, to take advantage of the developments in steam-engines and the use of iron for shipbuilding. On 6th April, 1850, he arranged a lease of the Kelvinhaugh yard from Robert Black for twenty years from May, 1851. His eldest son, William, took on the Dundee yard. 1852 the first ship, the Typhoon, was launched at Kelvinhaugh - an iron sailing-ship. 1858 James and Alexander Stephen bought the Kelvinhaugh business, repaying their father over a number of years. 1859 James Stephen left the company which was carried on for some years by Alexander Stephen junior alone. 1866 Of Kelvinhaugh. Launched a screw steamer of 637 tons. 1868 Alexander Stephen junior, purchased the 32 acre Linthouse estate and in 1869 started laying it out as a shipyard. It eventually housed a mansion and houses for 120 workers and their families along with the usual technical zones required to build ships. 1871 The lease of Kelvinhaugh expired in May; the last ship to leave the yard was the Lima, launched in November, 1870. 1872 The Kelvinhaugh yard was leased by Aitken and Mansel; eventually the Queens Dock was excavated on the site of the back yard. The remainder of the front yard and slip dock was occupied by Shearer and Sons. 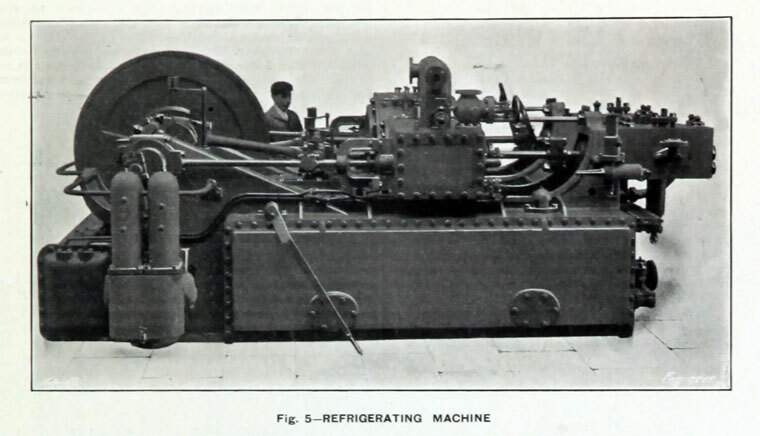 1880s The Linthouse yard moved into steel hull construction; its first steel steamer was completed in 1882. 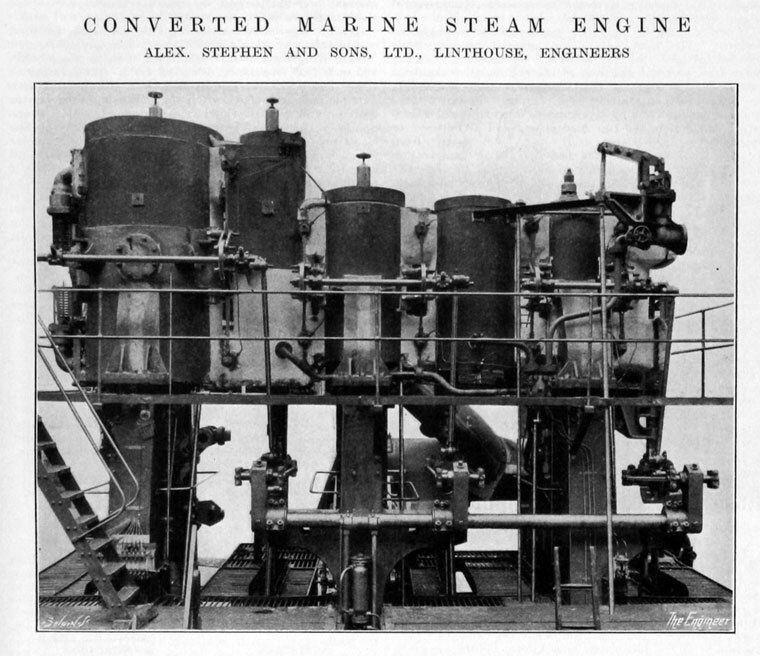 1889 Triple expansion engines for the SS Victoria and Domira. Illustrated. 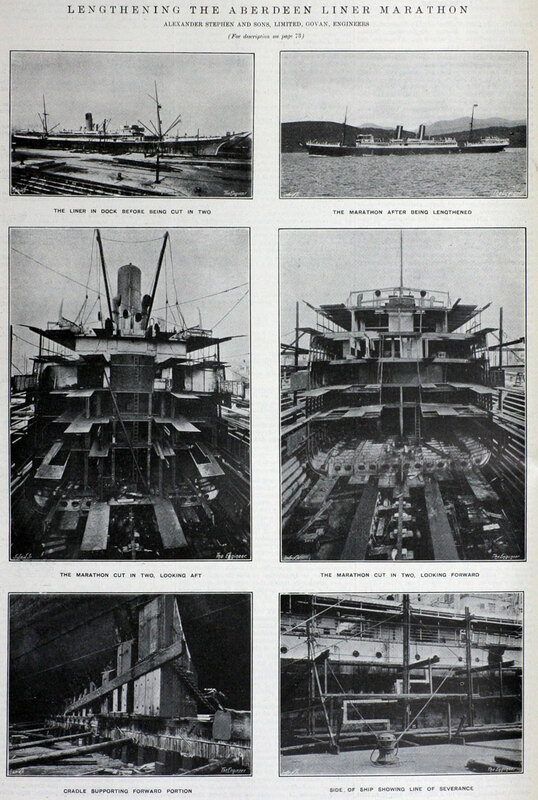 1894 Shipbuilding ended at the Dundee yard. Late 1890s The Dundee yard was sold to a group of Dundee businessmen and renamed the Dundee Shipbuilding Co Ltd.
1890s The Linthouse yard was kept busy manufacturing transatlantic steamers for Sir Christopher Furness. 1900 the company became a limited liability company. WWI The yard made an Anchor Line passenger ship, cargo-liners, two banana boats, 16 destroyers and three standard "AO" type tankers. The yard also made 480 biplane aeroplanes. 1930s The yard closed between 1932 and 1934 due to lack of orders. During this period the yard was expanded and modernised with electric cranes and a yard covering 48 acres. 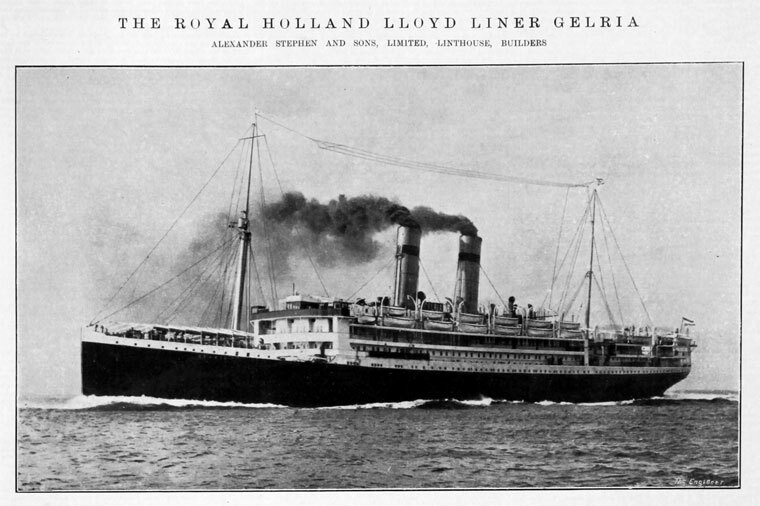 Late 30s the yard received orders for small cargo-ships and Australian coastal passenger ships. Also at this point, the Admiralty began ordering vessels as part of the build up to War. WWII The yard made aircraft carriers, and did this along with cruisers, mine-layers, destroyers, sloops, minesweepers and tank transport ferries. 1950s The yard began specialising in welding techniques and rearranged the layout to accommodate this. 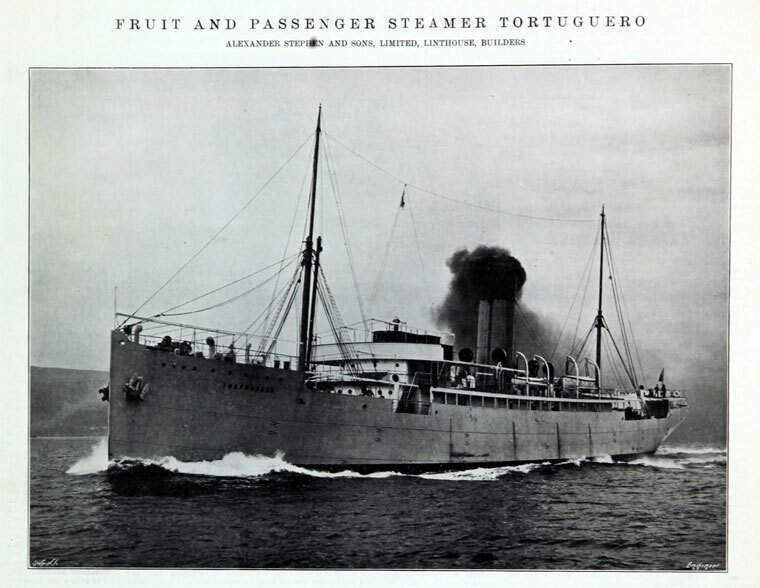 Consequently, many orders for motor cargo ships, ferries, cargo liners and banana boats continued apace. 1960s The yard added tankers and dredgers to its repertoire, completing five tankers including British Bombardier, which was the longest ship ever built at the yard at 725 feet long. In addition the yard built diesel-electric suction dredgers. 1964 The Linthouse yard also took over Simons-Lobnitz. 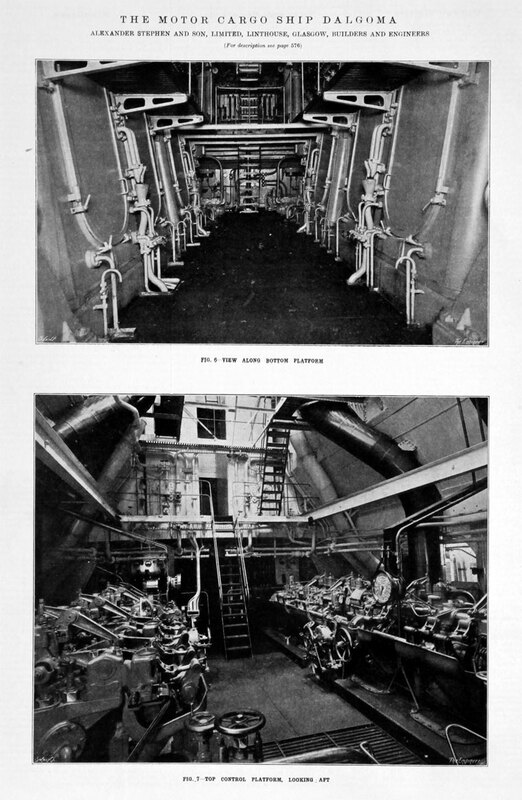 1967 the yard became part of Upper Clyde Shipbuilders. However, soon after, the Linthouse yard was closed and then demolished, after the latter organisation collapsed in 1971. 1970s The ship repair and marine engine shipbuilding aspects of the yard continued in two separate companies: Alexander Stephens Shiprepairers and Alexander Stephens Engineering. 1980s The Linthouse yard (which had fallen into disrepair) was bought by the Scottish Development Agency in 1987. The yard was demolished except for the engine shop which was then transported, piece by piece, to the Scottish Maritime Museum at Irvine. This page was last edited on 17 July 2018, at 11:41.